Fixed ‘Component’ menu bug not showing up in latest Unity versions. Also made the RuntimeAlphaMeshCollider script more comfortable and powerful. Unity 5 Ready! Also added support for il2CPP and and iOS-64BIT. Hope you like it! Important: Moved all menu items from a top-level “2D ColliderGen” entry to “Component – 2D ColliderGen”. New Features: – Multi-Island Editing Added support for enabling, disabling and changing the outline vertex count of multiple collider islands or holes at once. Apart from several bugfixes, we are happy to announce that 2D ColliderGen now supports Animated Colliders for Unity 4.3 Sprites. 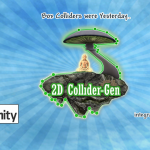 Apart from several bugfixes and other new features, we are happy to announce that 2D ColliderGen now supports Unity 4.3 Sprites and PolygonCollider2D. Check out our new Official 2D ColliderGen Trailer. It shows the new Multi-Island-Support feature available in version 1.2 which will be released any day soon! 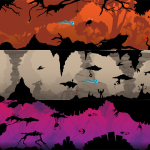 Apart from several bugfixes and other new features, we are happy to announce that 2D ColliderGen now supports Unlimited Collider Island and –Hole Regions within a single texture image.